UMB Speakers include: Prof. Randy Albelda, Dept. 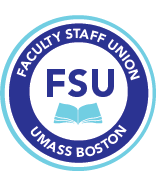 of Economics, Prof. Jean Lesly Rene, Africana Studies Haitian Creole and Culture Institute, Jelena Mitic-Elliott, Undergraduate, UMass Boston, Juan Blanco, PHENOM-UMB, Anneta Argyres, Save UMB and PSU President, Prof. Marlene Kim, Dept. of Economics, Prof. Paul Atwood, Honors College and Veterans for Peace, Prof. Tony Van Der Meer, Africana Studies.